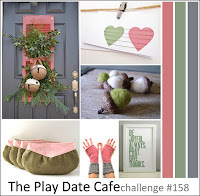 They are really pretty colours in the current Play Date Cafe Challenge so I had to play along. 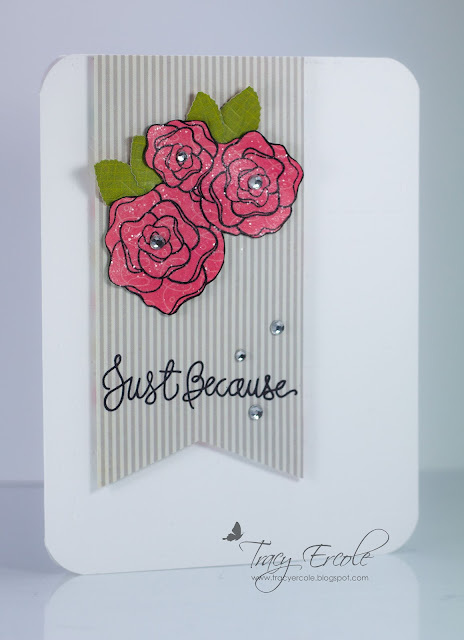 It is a rather simple looking CAS card today but it took me ages, nothing seem to go right but I got there in the end, lol! Can't see the struggle from here, it's looks just perfect! Love the striped banner and how you added glitter to the flowers! Tracy this is fantastic, I love the Stickles on your beautiful flowers. Beautiful card Tracy I really like the soft gray striped paper! Oooh such pretty flowers! Love the bit of shimmer! 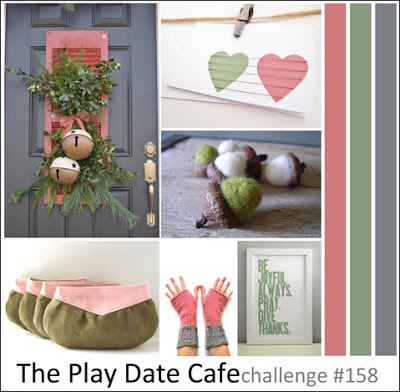 Thanks for playing along at The Play Date Cafe! So crisp and clean and pretty, Tracy! Well-deserved shoutout from the PDCC for this card! !